Like Dylan and the Stones, the Beatles and Bowie, so many biographies have been written about Bruce Springsteen that—barring some crucial shift in context that would warrant the writing of an altogether new life story—books that concentrate on a particular aspect of his craft have become more prevalent in recent years. 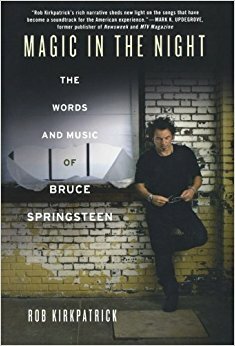 One of the newer ones, Magic in the Night: The Words and Music of Bruce Springsteen, sets its focus on the Boss’ songwriting. 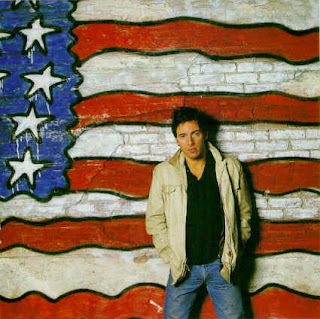 While author Rob Kirkpatrick does an adequate job of identifying major and recurrent themes in Springsteen’s works, his assessments seem derivative and compulsory or—when not backed up by one of his many cited sources—contrived. Surveying each of Springsteen’s albums in chronological order—from 1972’s Greetings From Asbury Park through 2007’s Magic—Kirkpatrick delivers a condensed account of their writing and recording, now and then injecting an innocuous opinion or side-note anecdote respective to the album at hand. There aren’t any notable revelations here and any fresh insight to be gleaned would most likely come from a more qualified source rather than from the author, who frequently renders his subject and occasionally his work in a condescending light. For example, when mentioning Springsteen's infamous lawsuit against his then manager Mike Appel following the release of Born to Run, Kirkpatrick notes that his intention is “not to take sides,” but then proceeds to label the then-twenty-something Springsteen as “careless to the point of naiveté regarding financial matters.” For the record, the author makes no remarks or judgment on Appel’s business acumen at the time. In another instance, the author dismissively undercuts the significance of one of Springsteen’s mentors and the prime inspiration for We Shall Overcome: The Seeger Sessions. Kirkpatrick asserts, “Not only was this the first collection of arrangements that the nation’s most famous singer-songwriter [Springsteen] had ever released, but it dusted off songs associated with a folkie who was decades removed from pop-culture relevance.” That’s sort of like saying J.D. Salinger—who, like Pete Seeger, is also 90 years old and, incidentally, alive—isn’t influential or important in the realm of literature (or in pop culture, for that matter) because he hasn’t published anything in about the last half century. The most frustrating part of Kirkpatrick’s examination of Springsteen’s work, though, lay in his comparative scrutiny of songs that have yet to see the proverbial light of day. Now, most Springsteen fans know that a treasure trove of unreleased material is locked in the vaults and that Tracks barely scratched its surface. Knowing such material exists, though, is different than knowing its specific contents. Regardless, the author writes of several obscure, as-of-yet-unreleased songs, at times describing their sound—as he does with “One Love” and “Betty Jean,” calling them “rockabilly” and “country”—while at other times explaining their narratives (“Richfield Whistle,” “Losin’ Kind’”). Altogether, he compares and contrasts such works—including their arrangements, lyrics, and themes—to officially released ones of the same era on albums that anyone can obtain (in this case, Nebraska and Born in the USA). It’s a one-sided assessment, though, because most people (even many diehard fans) neither have these obscurities nor the resources to acquire them to form their own opinions. Knowing the author has heard them doesn’t help the reader or the rock ‘n’ roll listener appreciate what it feels like to hear these songs roaring at full blast. Point blank, for those serious enough about Bruce Springsteen’s songwriting or career in general, there is no shortage of compelling and comprehensive books available at your local library or bookstore; this one just isn’t among them. While Rob Kirkpatrick lays out a solid premise and expounds on a few thematic tendencies in Magic in the Night: The Words and Music of Bruce Springsteen, his uninspired and often patronizing analysis does nothing to serve that objective.